Hopefully some of you have taken on board our advice from the latest blogging tips post. For those of you who need a little bit more inspiration, here are some blogs you should keep an eye on. Every single one of them has amazing photography and their styles are quite varied too. This blog has long been one of my favourite simply because of how utterly beautiful the photography is. Each image captures emotion and the essence of the outfits Carrie wears. It’s so much more than simply standing in front of a nice background and posing. She always looks like she’s truly going about her day-to-day business. It’s about movement, soft backgrounds, lovely settings and those little details that often get over looked in normal outfit posts. Every photo is like a street style shot from the Sartorialist. Not only does Andy have an amazing sense of style but each photo seems to be crafted as if to show off each and every nuance of the outfit. It’s no wonder she’s invited to fashion weeks around the world. She’s a talented photographer and a lovely person too. If you come across one of her behind the scenes videos on the blog, take some time to watch. She works closely with Canon so there’s loads to be learnt from her. Keiko is a fashion designer from London and it shows. Her style is eclectic, beautiful and shown off so perfectly in images that stray from the norm. Every photo is full of color and texture with interesting angles that everyone can learn from. Another blogger that I just can’t get enough of. 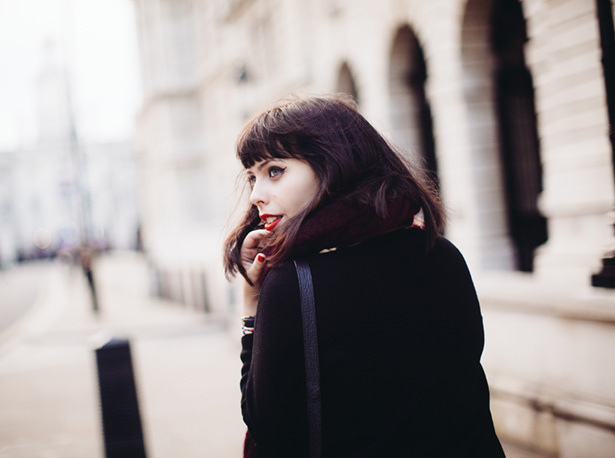 Not only does she take dreamy outfit shots but every other photographic element of her blog is beautiful too. You should see her food shots! She’s also the kind of blogger I look at and am blown away by her beauty. I’m not sure if that’s the photography or something natural. Whatever it is, I could look at her blog for days. There are two routes you can go down when it comes to the photography on you blog. You can go artsy and ethereal with lots of color, detail and texture or you could focus on simple street style shots that show off the outfits perfectly.